Once you’ve bought your aquarium, you’re likely going to want to see it filled with fish as soon as possible. This is a very common mistake, especially among beginners. In order for your fish to stay healthy, it’s essential to establish a healthy and stable ecosystem within your aquarium. This is achieved through a process called the nitrogen cycle. 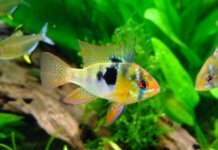 In this article, we’ll explain the nitrogen cycle, as well as go through the necessary steps one must take to achieve a stable, healthy aquarium. 1. What is the nitrogen cycle? 2. Can I speed up the nitrogen cycle? As they go about their daily business, fish release toxic wastes which can contaminate the water. Waste and uneaten food eventually dissolve and release ammonia, which is toxic for inhabitants of your aquarium. In rivers and lakes, the amount of ammonia created by fish is negligible, but in an enclosed system like an aquarium, it can be dangerous and even lethal. Once established, beneficial bacteria will begin converting ammonia into less harmful nitrites. While not as harmful as ammonia, nitrites are still toxic. Once nitrites appear, a different type of bacteria will begin to develop, converting nitrites into nitrates. Nitrates are generally safe for fish, and can be kept in check with regular water changes. 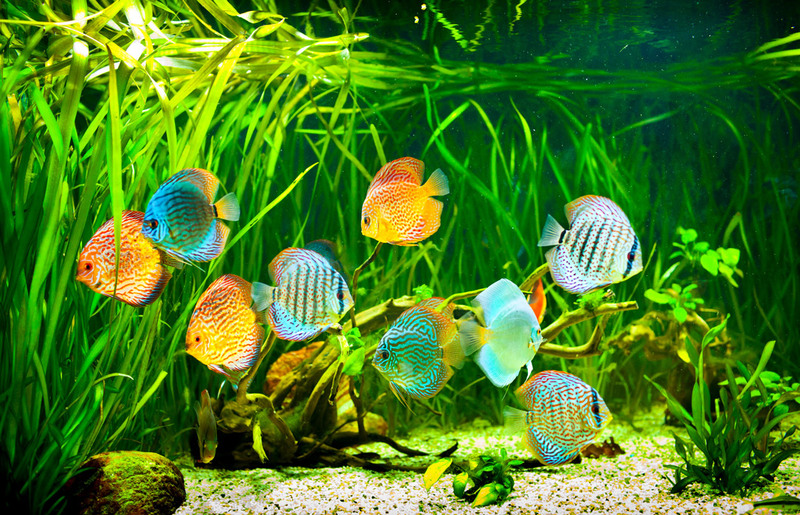 A properly cycled fish tank will not contain any traces of ammonia or nitrites – only nitrates. This is the point where an aquarium is stable enough to support life. Can I Speed Up The Nitrogen Cycle? The entire cycling process can take anywhere between several weeks up to two months. 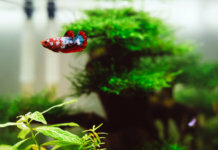 While it’s tedious and goes against all your urges to have a beautiful, completed tank as soon as possible, it’s absolutely necessary and can’t really be avoided. With that said, there are ways to speed up the process. Adding small amounts of gravel from an established aquarium will help, as gravel contains some amounts of beneficial bacteria. Filtration media is even better. If someone you know has an established aquarium, simply placing some of their filter media in your own filter can make the nitrogen cycle process go from two months, to several days. The downside to this is the possibility of bringing more than just the necessary bacteria into your aquarium. You’re also at risk at bringing in parasites, disease, and other unwanted microorganisms. Bacteria in a bottle; do they work? “Aquarium starter” bacteria bottles are sold in most pet stores, and the idea is that they already contain all the bacteria that your aquarium needs to be able to immediately hold fish. When it comes to their effectiveness, opinions are divided. Some fishkeepers claim they work, some say they don’t. Our personal experience is that these bacteria tend to lead to a heavily imbalanced aquarium in the long run. Our advice is to let the nitrogen cycle take place naturally – it will lead to a much more stable aquarium in the long run. There are two basic ways to cycle an aquarium: fishless cycling, and cycling with fish. Cycling with fish is the less popular method of the two, as it’s often considered inhumane. Usually, a small number of hardy fish are placed in a new, uncycled tank. After a short period of time, the fish waste and uneaten food will create ammonia, which will start the nitrogen cycle. The biggest flaw with this method is that it requires constant water changes, and daily tests of ammonia, nitrite, nitrate and pH levels. A small slip-up can easily lead to the death of the fish. If you opt-in for cycling with fish, you should always look for hardy, resilient fish. For example, neon tetras are considered sensitive, and wouldn’t fare well in the sub-optimal conditions during a cycle. Zebra Danios, on the other hand, are hardy and durable, and are a popular “cycling fish”. The number of fish added should be small at first (one per 10 gallons is the usual rule), and new fish should be added gradually – usually right near the end of the cycle, when ammonia and nitrites are nearing zero. While cycling with fish, it’s essential to pay attention to the behavior of the fish. Are they eating, swimming or breathing normally? If any of these change, the health of the fish may be impaired by the unfavorable conditions within your aquarium. Add a small number of hardy “cycling fish” to your aquarium. The usual ballpark rule is one fish per 10 gallons. Make sure to de-chlorinate the aquarium water first. Make sure to use both mechanical and biological media, as these will hold the largest amount of necessary bacteria. Use a water test kit to test for ammonia once a day. Ammonia levels should ideally be kept under .25ppm at all times. If you notice ammonia levels going past .5ppm, do a 50% water change immediately. 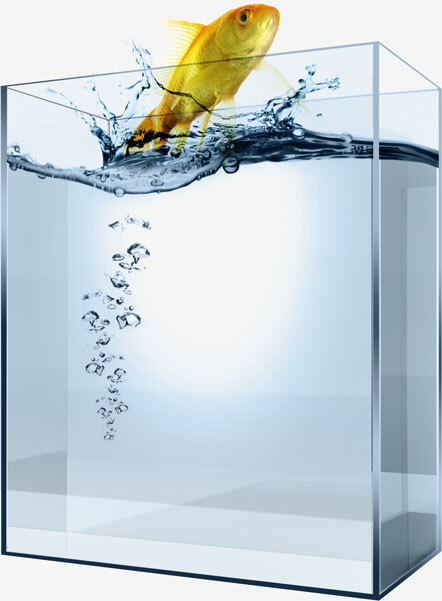 Depending on the conditions in your aquarium, you may have to do water changes as often as once a day. Always treat your water with a de-chlorinator, as chlorine can kill any bacteria you’re trying to grow, and completely restart the cycling process. Once the ammonia levels begin going down, begin testing for nitrites. Continue doing water changes. Nitrite levels should be kept under 0.25ppm. Once the ammonia and nitrite readings begin showing 0, the nitrogen cycle has completed. Be patient! The process can take up to several months to complete. Once ammonia and nitrite levels are near zero, you can gradually add more fish. Stock your aquarium in several steps, as adding too many fish at once can bring the ammonia levels to spike. If you’d like to opt-in for a more humane method, there’s also the option of fishless cycling. While this option requires more patience, it will result in an extremely stable bacterial colony – and it won’t hurt any fish in the process. All that you need is a source of ammonia. You can either use ammonium chloride or ammonium hydroxide. You can find both in most aquarium supplies stores, or order them online. 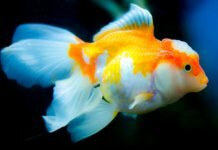 It’s not advisable to use ammonia products intended for home use, as they can have odors, dyes and other chemicals which are lethal to all aquarium life. Set up your aquarium and get the filter started. Make sure to de-chlorinate the water before adding it into the aquarium. Running a heater up to ~84 degrees is advisable, even though the tank is empty, as bacteria enjoy the warmer temperature. Using a pure ammonia source, add ammonia until your test kit shows levels between 3ppm – 4ppm. To avoid adding too much, add ammonia in a few drops at a time, allowing a 30 minute break in-between to ensure it dilutes properly. Once you notice ammonia levels drop around 0.5ppm – 1ppm, add more until you bring them back up to 3ppm – 4ppm. Continue adding ammonia throughout the entire cycle. Around this period, nitrite levels should be going up as well. Be patient! Sometimes it can take a few days for nitrites to show up. Continue testing for both ammonia and nitrites. After several weeks, the nitrite levels should begin to drop. Wait until ammonia and nitrite readings both begin showing 0ppm. At this point, nitrate readings should be extremely high (~30ppm). Perform an 80% water change to bring their levels down. Always use de-chlorinated water. Don’t worry about removing bacteria with the old water – by now, the bacteria is already seeded into the filter and the aquarium gravel. Dose ammonia until you’ve reached ~4ppm, then wait for 24 hours, then test the water. Your test kit should be showing 0 ammonia and 0 nitrites. Congratulations! You’ve just cycled your fish tank. Add fish and continue testing for a few weeks to ensure that there are no sudden spikes.